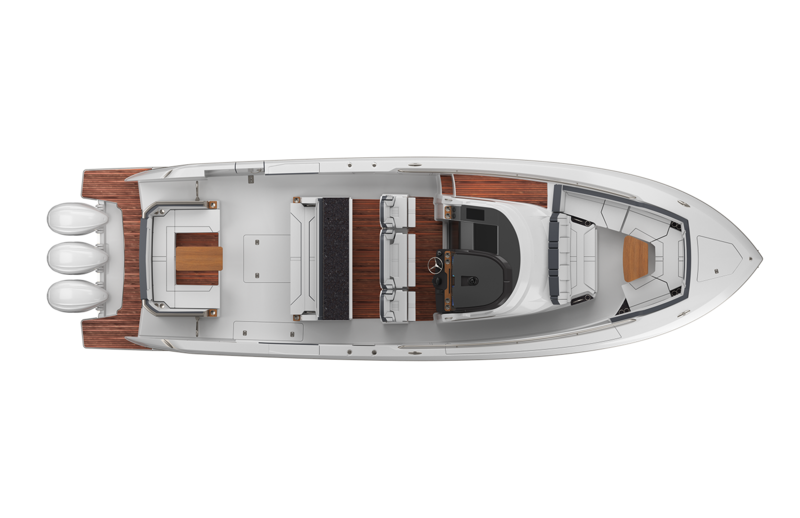 The third model in the Tiara Sport LS series, the 43 LS, combines the aesthetic of sport styling with the luxurious amenities and details synonymous with the Tiara Sport brand. Guests can choose from multiple social zones for relaxation and leisure. 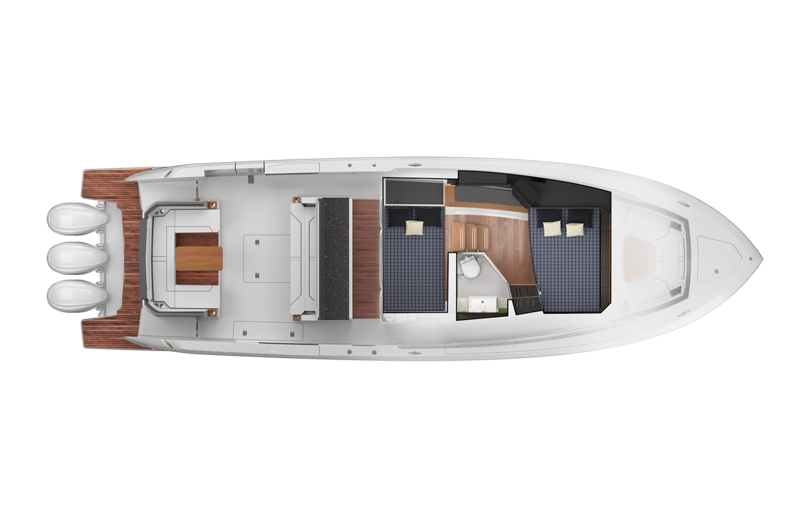 Forward, the bow features wrap around seating with a reclining lounge. 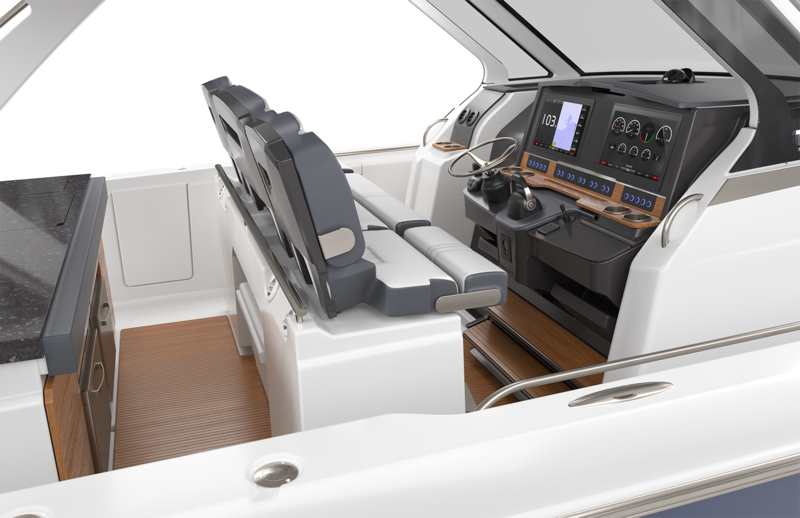 The helm seats four comfortably, with standing room and a leaning bolster just aft, providing a secure zone for more guests while underway. A side boarding door located portside presents access to your favorite water activities. The innovative aft U-lounge rotates 180 allowing guests to further enjoy the swim platform and beautiful views. Entertain everyone aboard from the galley, well equipped with sink, refrigerator and large countertop. Below deck, comfortable accommodations for four await. 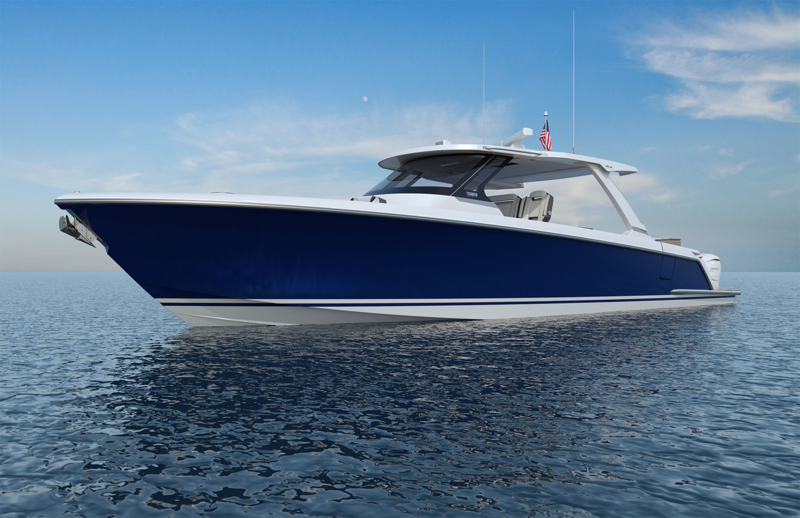 The sleek styling of the 43 LS is best complemented by power and performance. 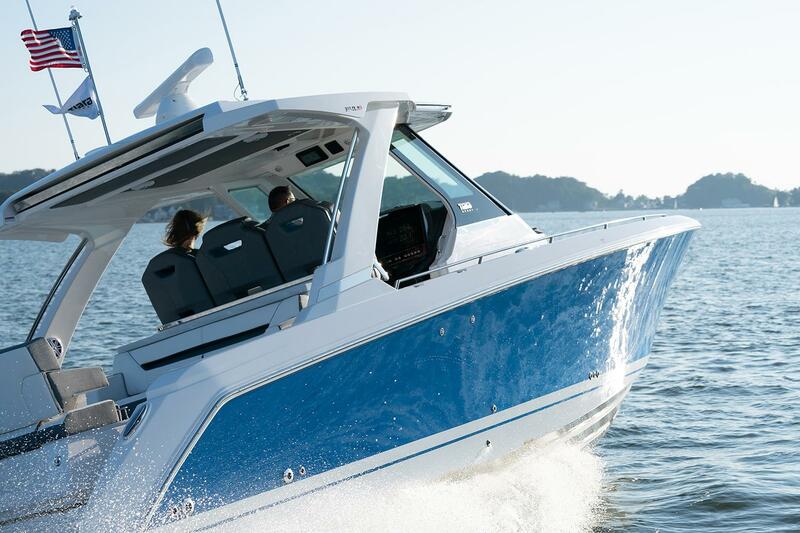 Yamaha® power combined with glass cockpit integrated electronics including Garmin® Marine navigation systems provide comfort and control at the helm. 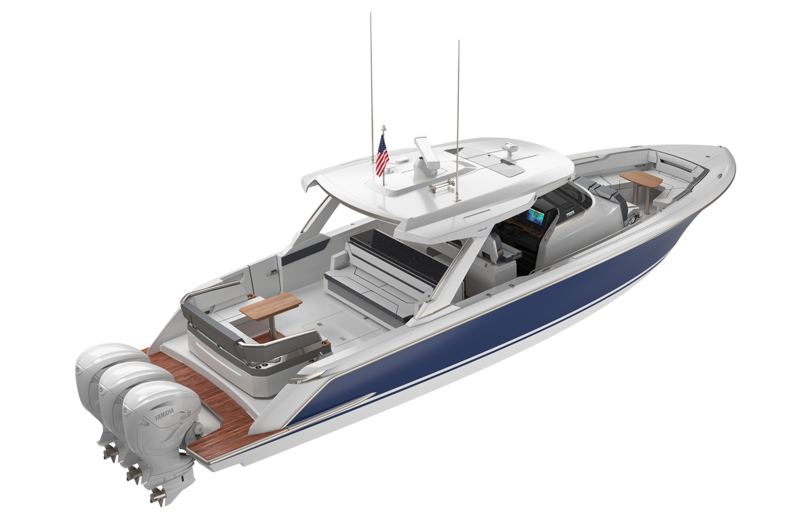 Optional Yamaha® helm master joystick steering offers an additional level of command at the dock or underway. 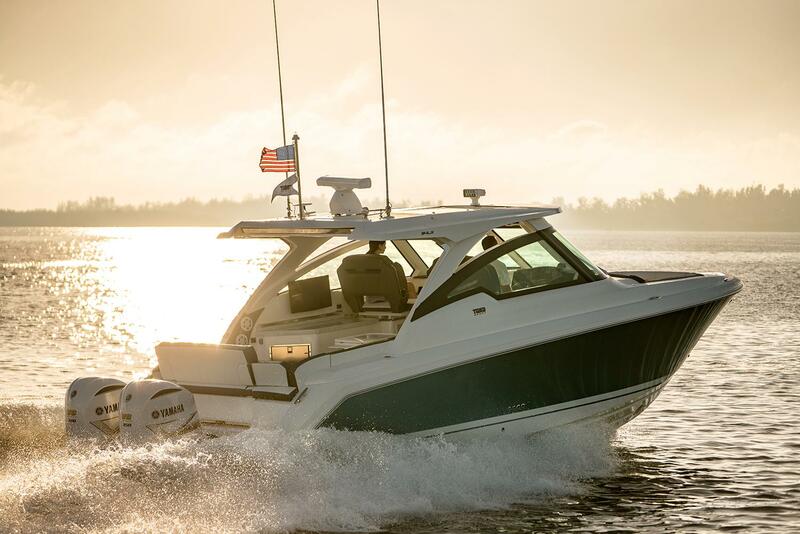 A fuel capacity of 400 gallons combined with a top speed over 50 mph gets you to your favorite port of call fast, giving you more time to enjoy with family and friends. Tiara Sport Fabric & Corian Options - Click Here. 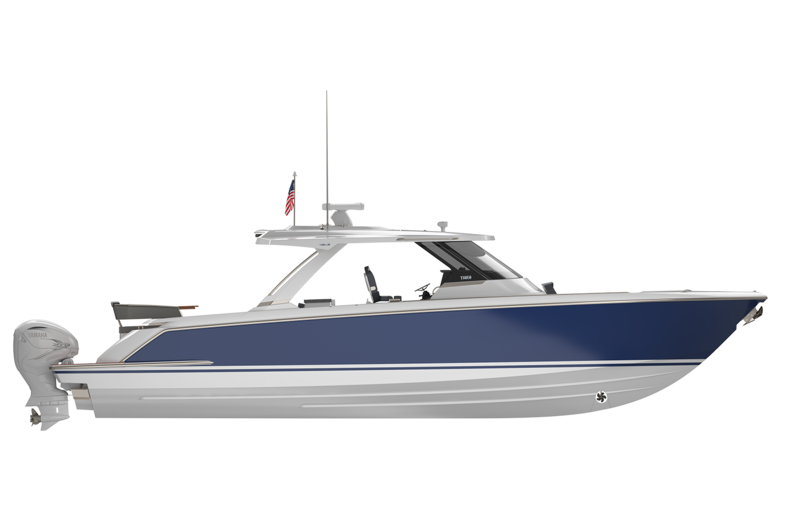 To learn more and follow the launch of the Tiara Sport 43 LS, please complete the form below. We'll share updates and information along the way, leading up to this exciting product release, coming Spring 2019.